“Affordable Housing for all “ is an important policy agenda of Govt. of India and accordingly the Ministry of Housing and Urban Poverty Allevation ( MH & UPA) has designed an Interest Subsidy Scheme as an additional instrument for addressing the housing needs of EWS and LIG segment in urban areas. The scheme envisages the provision of interest subsidy to EWS and LIG segments to enable them to buy or construct houses. The scheme is applicable for urban poors only EWS/LIG persons. EWS - households having an average monthly income upto Rs. 5,000. LIG - households having an average monthly income between Rs.5001 upto Rs.10,000. For salaried persons: 48- times of average of last -3- months’ gross salary. 100% waiver of Processing Charges on all variants of Home / Top-up Loans subject to recovery of out of pocket expenses of Rs.7500+ GST. For EWS - Max. amount Rs. 1 lac for 20 years, for a house at least of 25 sq.mts. Additional loans, if needed would be at unsubsidized rates. 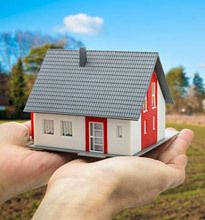 No loan for purchase of plot. Maximum 20 years including moratorium period. Mortgage of house constructed / purchase out of loan (no collateral / third party guarantee for loans upto Rs. 1 lac excluding group guarantee. 5% interest subsidy (Net Present Value) for a maximum of principal amount of Rs. 1.00 lac is available under the scheme. Can I avail of Home Loan from Bank of Baroda? Employed or Self Employed with regular income. The proposed owners of the residential accommodation as per the Agreement for sale, in respect of which financial assistance is sought, must be co-applicants. Usually joint applications are from husband-wife, father-son or mother-son etc. Loan amount is determined on the basis of the repaying capacity of the applicant/s. Repaying capacity takes into consideration factors such as age, income, dependents, assets, liabilities, stability of occupation and continuity of income, savings etc. The maximum loan would be Rs.10.00 Crore per unit to any individual applicant based on the area where property is proposed to be constructed/purchased. 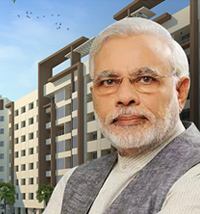 We will extend loan upto 90% (for fresh houses / flat) of the cost of property under our Housing Loan Scheme. We grant term upto a maximum of 30 years. The term for the loan will under no circumstances exceed the age of retirement or completion of 65 years of age, whichever is earlier. But can I prepay the loan ahead of schedule? 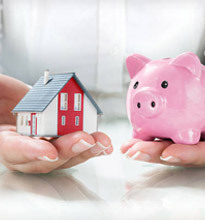 Yes, you have the option to prepay the loan ahead of schedule either in part or in full from your own sources. Equated Monthly Instalment (EMI) : It means a uniform lumpsum amount, which includes repayment of a part of the principal amount and payment of interest, calculated on daily products basis. Fixing the monthly / quarterly instalments on graduated basis is permitted of EMI as requested by customers. 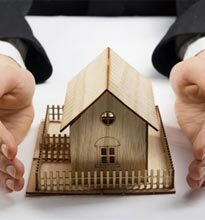 The security for the loan is equitable mortgage of the property to be financed. 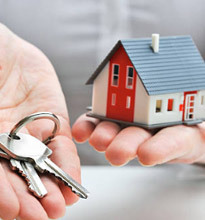 The security for the loan is equitable mortgage of the property to be financed. 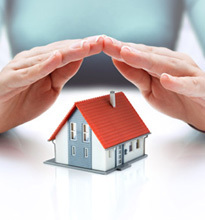 Do you insist on LIC policy as additional collateral security? What are the supporting documents required while applying for the loan? Common requirements for all applicants. Application form duly filled in (with photograph of all the applicant). Residence and Age verification, which may be established from the PAN card, Election ID, Passport, Drivers licence and Ration card etc. Copy of approved plan and sanction letter from local civic authority. One/two guarantor/s form/s and salary certificates. - If guarantor is in business, copies of I.T. returns or assessment orders for the last three years are required. Bank Pass-book of statements for the last two years. Latest salary slip/statement showing all deductions in case of employed applicants. Certified copies of Balance Sheets and Profit and Loss accounts, IT acknowledgments, advance tax challans (for both company/firm and personal account) for the last three years in case of self employed applicants. Memorandum/Articles of Association for companies, partnership deeds for firms and a brief profile of your company/firm in case of self employed applicants. Residence and Age verification, which may be established from the PAN card, Election ID, Passport, Drivers license and Ration card etc. Copy of Agreement for sale. Copy of sanctioned plan & sanction letter of the competent authorities. Copy of NA permission/ULC order. Copies of receipts of payments already made. 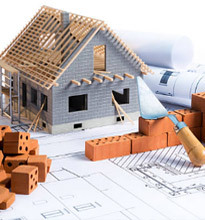 NOC from builders in our format. Copy of sale/lease deed in favour of the society. NOC from society in our format. Copy of all previous vendors agreements duly stamped and registered and the registration receipts. (original to be given before disbursement). NOC from Society/Builder in our format. 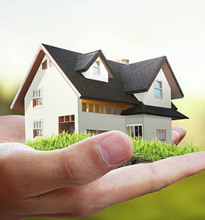 Whether you have any Housing loan product for NRIs? Call for any kind of support and reports us for loss or theft.